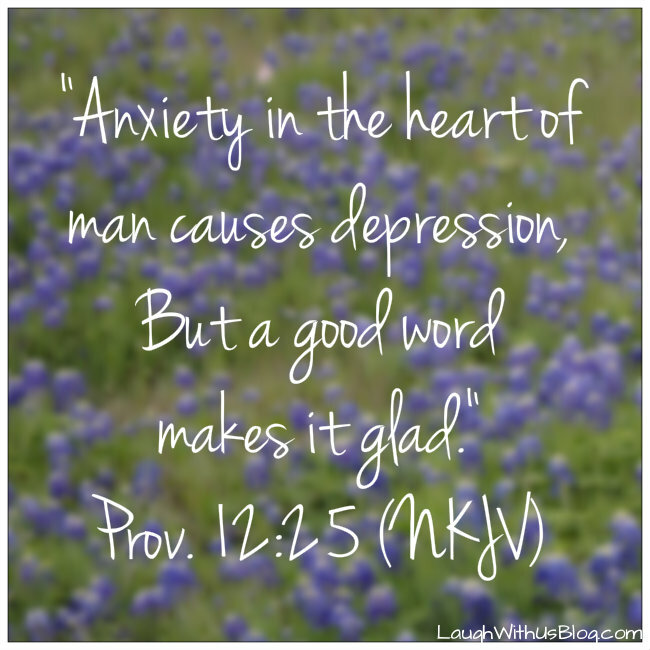 Last night I read Proverbs 12:25 in my Bible reading, “Anxiety in the heart of man causes depression, But a good word makes it glad.” (NKJV) I have done my best to fight against that anxiety that could so easily get me down. Some moments it’s been easy, others I’ve struggled. But the second part of the verse jumped out at me. “A good word makes it glad,” and that’s what so many of you have done for me. 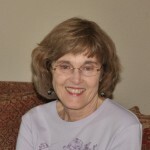 You’ve encouraged me with your comments, notes, emails, calls, and messages. Thank you for those good words of encouragement. You have made my heart glad! If your new here, today was my third sonogram. The first one showed no heartbeat. The second, signs of life. 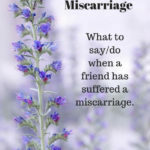 Two days ago began the obvious signs of possible miscarriage–bleeding. At first sight I gasped in horror. Something that at normal times is a sign of life, of how God designed us to make babies, in pregnancy is the opposite, a sign of death. Though it was not what I had hoped, I think it made my doctor’s appointment easier today, a little less whip lash maybe. When I arrived at the office I was told that one of the sonographers didn’t show up today so they were running late. “How long I asked?” Oh it would only be about a half hour they told me. Two hours I sat there with my husband and one-year-old. They might have been the longest two hours of my life! But finally I was called back. The baby had grown over the week, showing to be about six weeks old. (According to my calculations the baby should be 10 weeks–big difference.) But today we could not see any blood flow through the baby or a heartbeat. Still, the doctor could not say definitively one way or the other. If the baby is in fact only 6 weeks then it is not uncommon not to see a heartbeat. The bleeding does seem to indicate probable miscarriage, but I’m not there yet. So again it’s a waiting game. Wait to miscarry at home, and if not go back in next week for another sonogram. I wish I had better news. I know so many of you were praying and hoping too. It’s almost as if I can feel you hurting with me. If you’ll continue to pray…may the Lord’s perfect will be done, and may He grant me the grace I need for each day. He will. Would that I would cling to it! Update: Miscarriage–the conclusion of our journey. 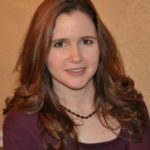 Am I Excited About the Pregnancy? We are Expecting a Baby! I’m so sorry that the news was not more favorable! But how encouraging to see you taking comfort in the Lord and His people. More prayers for you in the coming days! I will continue to pray. Esther I am praying for you every hour. 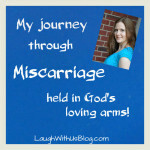 I’ve gone through a miscarriage so I know the anguish and pain. But God’s Will is perfect! I will continue to pray that God will bring this precious life to full- term though. We can always pray and ask because the Bible does tell us to ask. Be careful this week and keep your spirits and chin up. Esther, sorry to hear the disappointing news today. I know this is difficult to go through. You are in my prayers! We sure miss seeing you guys at CBC. I know Hannah misses Hadassah! I have been and will continue to pray for you and your family. your turning to God in your time of need is a wonderful testament to myself and others. So sorry that the doctors couldn’t provide you with more information. You are surrounded by a lot of love and support. You are in my thoughts. Praying that our Good Shepherd carries you through this valley in His strong, loving arms, Esther. Oh, Esther, I can not imagine — so much waiting. Still praying for you and your family. Hang in there. You will get through this. Waiting is the hardest part. You’ll have answers soon. Keeping my fingers crossed. Thank you so much for keeping us up to date. Prayers for you and yours dear one. God bless you. You are an inspiration to us. I’m so sorry that you’re having to play the waiting game. It’s just so difficult when you don’t know what’s going on. That truly is trusting in the dark, isn’t it? I will keep praying for strength and peace for you and comfort while you wait, and will pray for that precious baby too! oh Ester what a horrible experience. I think it is incredibly generous of you to share such a painful and scary experience as so many women must have gone through, or be going through this, and now know they are not alone. my thoughts are with you and your family. What a roller coaster. Keep hanging on to Jesus! I pray for God’s perfect will and purpose in this and that He surrounds you all with His presence. Continuing to pray God will carry you through your days of uncertainty. Lifting you up in prayer! Esther, I’m so sorry the news wasn’t better but am glad there is still hope. Continuing to pray during these difficult days. May God be very close with His comfort and hope. Esther. Nothing is too hard for God! Don’t stop praying, hoping, believing. We serve a miracle working God who calls into life that which is not. While there’s breath (yours) there’s hope! I’m claiming this little baby for LIFE, and trusting God to know what’s best. Remember what Jesus said to Jairus when they told him his daughter was dead? “Do not be afraid, only believe!” And then he did a miracle. I’m praying that miracle for you today. Still praying for you, my friend! Waiting is hard, but God has a purpose in this and you can trust Him for that. I am praying that you will feel His comfort and strength and grace as you wait. Esther, lifting you up into His hands. We never know why things like this happen and the only thing to do is to embrace His comfort and strength. Stay hopeful in Him. I am going through the exact same thing. I’ve had many more ultrasounds at this point but still the same. The first 3, no signs of life then during the 4th there was a heartbeat! three days later no heartbeat or bloodflow and my hcg had only increased by 2000 in 10 days. If I don’t start to miscarry on my own, I’ll have another ultrasound on Monday. I too should be 10 weeks along, and my gestational sac measures 10 weeks but the yolk sac/baby/fetal pole only measures 6 weeks. I trust that the Lord made the right decision for our child. We have three beautiful babies here with us and now two at the feet of Jesus.